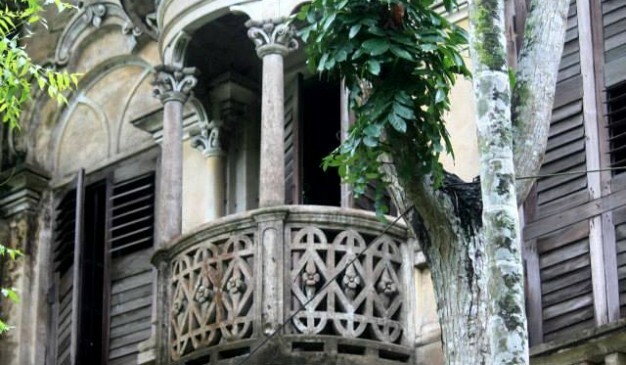 The Betila (বেতিলা) House in Manikganj was built about a century ago by Jyoti Babu (জ্যোতি বাবু) and Satya Babu (সত্য বাবু), a couple of affluent merchants involved in the trade of Jute, the golden fibre of Bangladesh. 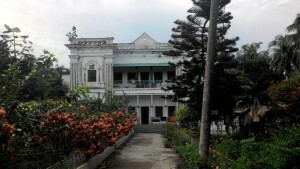 This palatial house is located in a remote area named Betila which is within the parameters of the modern day Manikganj proper. 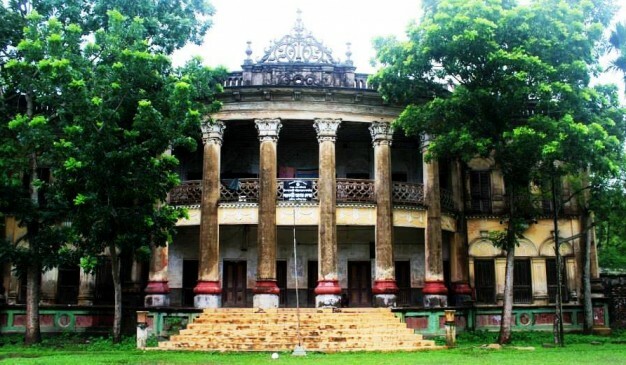 Explorers/travelers searching for heritage sites in Manikganj over the internet may come across several links of the famous Baliati Zamindar’s Palace but never find any links on Betila. 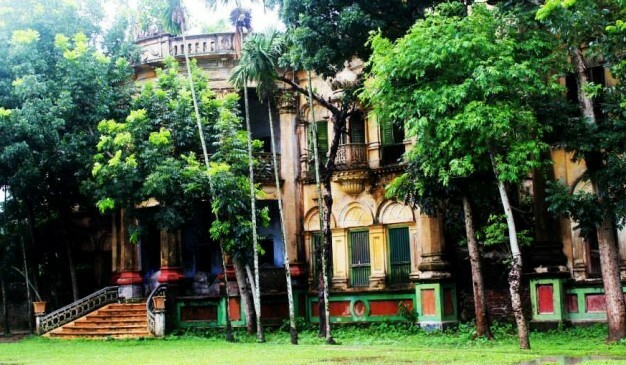 This is primarily because the Betila House was not a Zamindar’s (Land Owner) palace, and secondly since it is located in such a remote area, people hardly know about it. Rich people of those era are known to build such palatial houses in remote areas and live lavish lives, even though they were not ‘Zamindars’ or royalty. For someone looking for heritage sites, the Betila Mitra Union of Manikganj would be a fabulous one to come across. 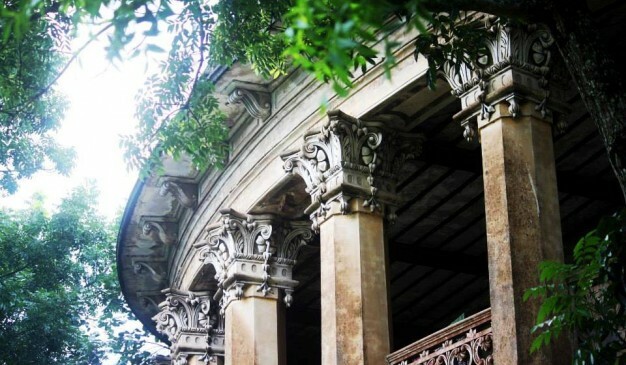 It’s situated in semi rural setting (being not too distant from urban areas) and doesn’t seem particularly unique on first impression but once you begin to explore it’s culture and heritage, beautiful places like the Betila House amongst several others begin to surface. 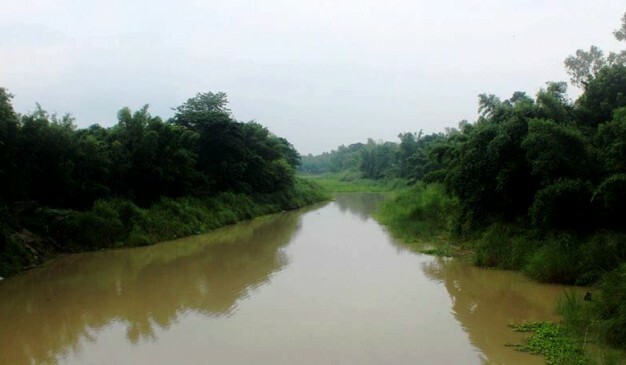 The seemingly tame Betila Canal runs across the area, connecting two major rivers Kaliganga (কালিগঙ্গা) and Dhaleshwari (ধলেশ্বরী) but like most waterways of Bangladesh, one can anticipate its ferocity in full monsoon season when rising water levels which is also evident in the way it has eroded both its banks, specially at the lone bridge that was constructed some time back. 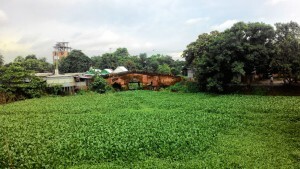 From Manikganj Bazar Bus stop, it’s just 9-10 km south-eastward. You can take a ride on a bus or CNG auto rickshaw moving towards Sinagair Bus Stop via Betila. As soon as you reach the Betila Bus Stand, It’s just a kilometer away which you may cover by rickshaw. There is a cluster of old houses and heritage sites available around this region. So it would be wise to pay a visit others heritage sites once you get there. There are restaurants near the Bus Stop which you can check out too. Panam area is formed as a part of the Muslim metropolis, developed on the south of the old city, and perhaps constituted as the place of residence of the early Muslim governors'. 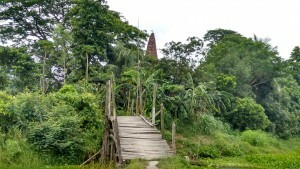 After the Mughal conquest of Sonargaon (1611), the Panam area was connected with the ruling metropolis by construction of highways and bridges. Panam still possesses three brick bridges belonging to the Mughal period: Panam Bridge, Dalalpur Bridge and Panamnagar Bridge. The existence of these bridges and the canals enclosing the site on three sides is indicative of its being a suburban area of the medieval city. Panam Bridge a fine old bridge constructed originally over a canal on a village road from Hajiganj to Baidyer Bazar, now located a little further to the east of Habibpur on a pucca road between Companyganj and Bari Majlis in Sonargaon. 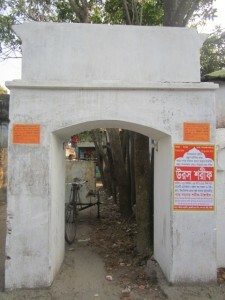 It was originally known as Companyganj ka Pul (কোম্পানিগঞ্জের পুল). The Bridge measuring about 53 meter in length and 5 metre in breadth consists of three arches, the middle arch being wider and higher providing easy passage of boats underneath. The steep roadway is formed of bricks circularly arranged. The architectural feature places the bridge to belong to the Mughal period (17th century).